When you are uploading or downloading a video, the first thing that comes to our minds is either YouTube or Vimeo simply because these two are the most popular video platforms. Although there are basically a lot of sites that serve similar functions, these two sites are the top choices for us internet users. So today we deal with the age-old question, which one is better? When it comes to Vimeo vs YouTube which site has the benefit of the doubt? While WordPress is the leading blogging platform, and the most recommended one, it is not designed to stream videos. Thus, the use of other video platforms. Although you can also upload videos to WordPress, it is far easier to just embed videos to your WordPress simply using the URL. 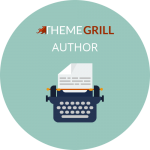 For example, our YouTube Channel-ThemeGrill is dedicated to videos that we have embedded on our blog on the related topics. And because we have often been asked the same question about which video platform is the best, we are here today with this article of Vimeo vs YouTube compared. Since each individual has different opinions about it, we let you be the judge for yourself. So what exactly are video- hosting platforms or websites? It is a common ground of service providers that allows you to upload, share and monetize your videos to your choice of audiences. Being a WordPress user, these platforms also help embed videos to our WordPress website which allows you to reach out to a wider audience range. The two leading platforms being YouTube and Vimeo, today we are talking about which video-hosting platform is better? YouTube is an American video hosting site created on the February of 2005. Now hosted as one of the Google’s subsidiary, you can upload, view, comment, share and add videos to the site. One of the most versatile platforms, you can create channels and monetize your copyright free contents. YouTube became a part of the Google since 2006 and has remained as one of the most popular videos streaming platforms on the internet. It is the second most used search engines all over the world as well. Vimeo is another great American video hosting service website that was created on the November of 2004. One of the most popular video-hosting sites, you can upload, share and view videos that supports HD videos. Although you cannot monetize your contents on this site, you are able to sell your copyright free contents directly to the sellers. The Vimeo app was also made available for Android and iOS as well making it another of the most used video-hosting site and application all over the world. To conclude, YouTube and Vimeo both are the leading video hosting platforms that are used by millions of people all over the world. While YouTube is the second most used search engine, Vimeo is the preferred hosting site to share private contents in a secure way. Although both of these sites are American video hosting sites, YouTube has the lead on audience reach as it is owned by Google making it one of the biggest part of the internet! Both of these video hosting sites are a profit based company who earn their keep through the users who use the sites to host their videos. You can decide which s better when it is YouTube vs Vimeo. Their pricing is based off how they earn through their sites. Here is a brief comparison between the two sites. Although the sites are similar in functionalities, both of them have entirely different ways they earn money from the sites. YouTube uses advertisements shown on their videos to make money. 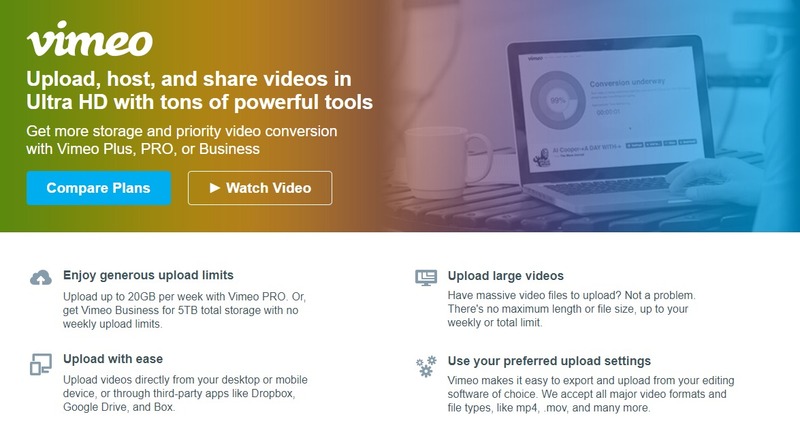 Vimeo makes money selling their video-hosting service. YouTube allows creators to join the YouTube partnership program once you have over 10,000 views Vimeo allows users to sell their content directly to sellers through the Vimeo on Demand. 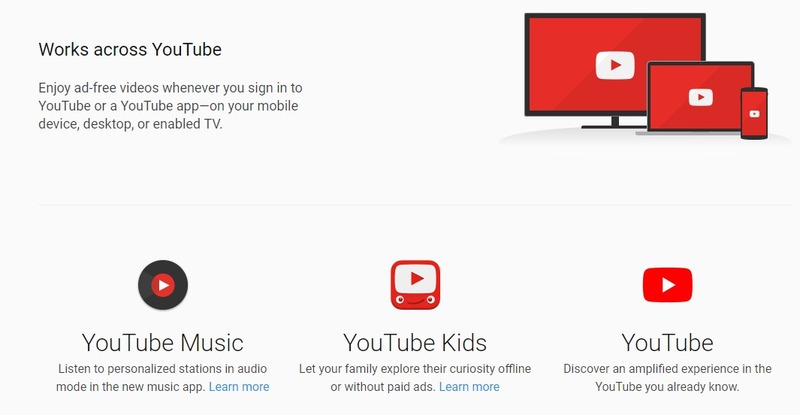 Here is a brief overview of the subscription plans for YouTube and Vimeo. For a basic $10 a month, you can enjoy an add free, uninterrupted original shows with faster loading time and access to over millions of videos. You can also save offline videos instead of downloading it so that you can access them without the internet. You can choose from the plans according to your needs to ensure you get what you pay for. Simple as that. All of these pricing provides you with a range of functionalities like bandwidth, privacy protection as well as storage space. For basic functionalities, you can also join for free. To conclude, both YouTube and Vimeo allow you to join for free and by paying. While YouTube has a subscription plan for playing ad-free, original contents, Vimeo offers you additional functionalities with their paid plans. With paid subscriptions, Vimeo is likely the winner as you can choose from a range of plans and functions they offer and choose the one you like. When it comes to uploading content on the internet, these two sites are the top choices for people all over the world. But when it comes to YouTube Vs Vimeo, which one appeals you the best? To answer that question, here is another comparison between their upload limits. Although similar in functionalities, Vimeo and YouTube both have very different strategies and policies regarding uploading a content. While uploading a content on YouTube, the users have the benefit of uploading an unlimited number of videos. However, each video should not be longer than 15 minutes. But this changes once your account is verified, and you will be able to upload files up to 12 hours and 128GB file size. Vimeo, on the other hand, gives you the benefit of choosing how much you want to upload. The kind of plan you choose gives you the ability and limitations to the file that you want to upload. You can choose the kind of plan you want and the storage ability. The limit ranges from 25 GB to 5 TB storage per year. To conclude, although YouTube has the advantage on an unlimited number of videos you can upload, Vimeo takes on the lead when it comes to the size and length of the videos. While YouTube requires more views on your channel to increase your contents length, Vimeo requires you to choose a plan that suits your needs. Both of these provide equally enriched features when it comes to uploading, so it’s up to the user what they wish to use. Having greater audience range means more views and more followers which means more monetizing. Larger audience also means more popularity. Although we all know YouTube has the advantage of having a larger audience volume, Vimeo still competes as another leading video platform. The audience community of YouTube is fairly larger as it covers one-third of the internet. Being the second most used search engine, the YouTube community has managed to gain over 5 billion users on a daily basis. The fairly large community is divided between the creators and viewers. Although it means a larger amount of views on your content, it also means more competition. On Vimeo, apart from the channels and viewers, it also features groups where users can join and participate. There are over 170 million active users on Vimeo making it another great platform for creative creators for people all over the world. The group content can also be limited to only the members of the group, creating a secure ground to share private contents. To conclude, while talking about the audience reach, YouTube has no doubt the advantage as YouTube is the second most used search engine worldwide. Although there is not much comparison, Vimeo has also gained popularity in the recent years and made a name as a secure platform to share your contents. One of the major and crucial parts of a video hosting site is the privacy settings it allows. Why? Because it is important you know with whom your contents are being shared. Not only this but being in control of who sees your content can be the key to a successful online entrepreneurship. Thus, this is yet another aspect that we have compared for you! Be the judge for yourself and see whether if Vimeo is better than YouTube? But something that both these sites have in common is the privacy options you can choose from. Public: This option allows everyone and anyone to search and view your content. The videos listed in this category can be searched, listed as well as displayed all across the YouTube platform. Unlisted: This option allows the users who have the URL to view the content. It means that this content will not appear on any of the YouTube searches or related videos. Private: This option is for those contents that you do not wish to share with the public. This allows you to view the content only by yourself, or some users that you select. While sharing your contents on the world’s second most used search engines, you will obviously want the control of choosing who will be able to view your contents. 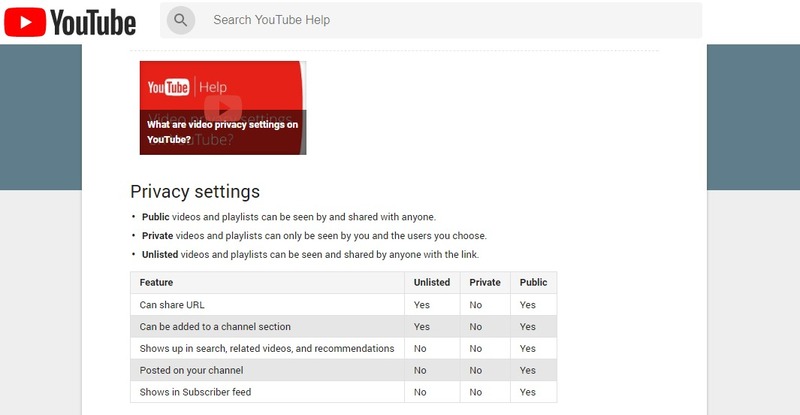 In order for you to so this, YouTube provides the users with three different viewing options to choose from as mentioned above Public, Unlisted and Private. Apart from the viewing options, you also have the option to disable comments and the ability to embed your videos on other websites. This makes sure that your contents are not misused. Regardless, if you wish to share your private videos, it is not an ideal platform. When it comes to privacy, Vimeo has far better and advanced options compared to YouTube. With Vimeo not only can you categorize your videos to be public, private or unlisted, but it also allows you to share a video with the users that you follow. This makes the whole private sharing even easier. What’s more is that you can even restrict your contents to your own websites. Not only this but Vimeo comes with the advanced feature of disallowing videos on Vimeo itself. Additionally, you can also password protect your videos which limits your audiences to only those who know the password. With all these privacy secured options, Vimeo is no doubt the better platform to share your private contents. To conclude, when it comes to privacy settings, Vimeo is surely in the lead! Given its advanced feature and settings to disallow and restrict your videos, you have the full control. Sharing and privacy options are also more easy and advanced in Vimeo compared to YouTube and it’s privacy features. Thus, when it comes to sharing your personal contents, Vimeo surely is the ideal hosting site! When uploading a video comes to mind, so does video editing. 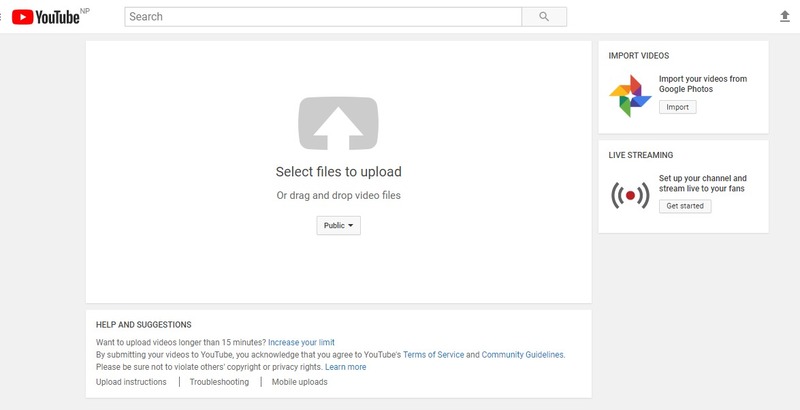 Because of course, you cannot upload your video content without editing it first. So what has the two sites in line for us? Let’s take a brief overlook of these two sites compared. Video editing is one of the most crucial parts of creating a content and when it comes to YouTube, powerful tools are provided to one to edit their content. Before uploading your content you have the ability to create slideshows from images and even from your previous videos. Additionally, you can also add links as well as annotations to help redirect your audiences to your other contents. To top it all off, you can also contribute to the multilingual viewers by adding in subtitles or captions for your videos. Another major factor about the YouTube is that it also allows you to live stream so that you can live broadcast your video as well. Although Vimeo does not provide as many functionalities as YouTube, it does, however, have all the basic features that allow you to add the video description and title. Just as YouTube, you can also add the category, tags as well as the subtitles and captions. However, you cannot access clickable links and annotations. But a great feature of Vimeo is that you can replace your older video with a new one without changing the video URL or stats. This is a great feature if you realize you have made a mistake and just need make a few adjustments to your video. To conclude, when it comes to video editing options, YouTube is the winner! The functionalities and features of YouTube’s in-built video editor surpasses the basic editor of Vimeo. While you can add tags and categories as well as the subtitles on both the sites, YouTube also lets you add annotations and links taking YouTube in the obvious lead! What is an online streaming platform if there is no monetization option? One of the basic and the most prerequisite element of both these sites are the option for monetizing your content. Why is it so important? Well, monetizing your content is the main reason for why users upload content and viewers watch them. 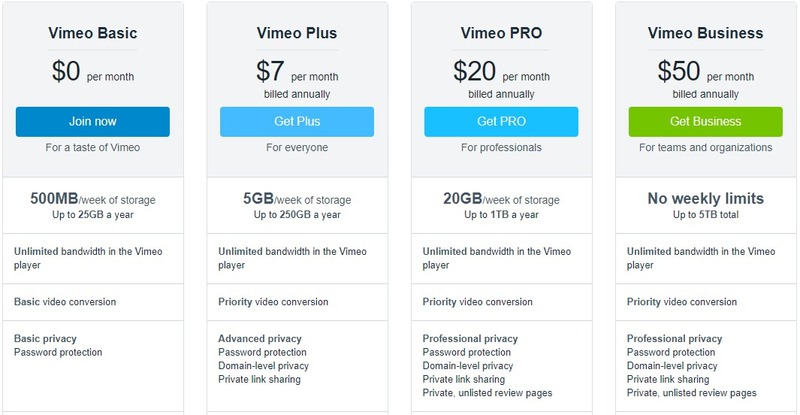 Comparing Vimeo vs YouTube, here is a brief overview of their monetizing option. With YouTube, you are allowed to join the YouTube partner program after signing up for the Google Adsense. Once your account is verified and accepted, your videos can be monetized and ads will be placed on your contents through which you can earn money. However, to be a part of the YouTube partner program, you need to have at least 10,000 views on your channel. Another option that YouTube allows is that you can sell products and add paid reviews to your videos. Additionally, you can also join affiliate programs and get sponsors for your channel. Because of its versatility, YouTube is one of the leading online video streaming sites that people all over the world use as an income source. Unlike YouTube, Vimeo boasts itself as an ad-free platform and they do not provide any kind of advertising programs that you can join. However, you can sell your contents directly to the buyers through their Vimeo on Demand platform. For this, you need to have at least a Vimeo Pro Account and you are ready to join the program. Just like YouTube, Vimeo also allows you to find sponsors for your videos and you can also ask users to support your channel through other mediums like Patreons. This helps build your channel and makes the monetizing process easier. To conclude, both of these video hosting sites provide the functionalities of finding sponsors and paid ads. YouTube allows you to join their partnership plans while Vimeo allows you to sell your contents. However, the monetizing options is easy on both these sites which conclude the user to be the judge according to their needs and preference. YouTube vs Vimeo, in the battle of these two leading video-hosting sites, which one is better? During the comparison, we came across and compared all of the aspects of what made them better than the other. While YouTube is the second most used search engine worldwide, Vimeo is certainly a more secure platform to share private contents. For a more larger audience, however, YouTube is no doubt the better choice. The monetizing option as well as the pricing and subscription packages, they both feature all the different functionalities, thus making them the leading video sharing platform. But when it comes to the answer of is Vimeo is better than YouTube or if YouTube is better than Vimeo, it is up to you. According to your needs and requirements, everyone’s choices differ. One might like the this better than the other and vice-versa. Thus, in conclusion, we have made our comparative research available for you to make the choice! Be sure to let us know if our article helped solve your dilemma down in the comments below. You can also let us know if we missed out anything! Based on our research and others ratings, here is an overall chart to help you out if you are in a hurry! The overall conclusion of the comparison, the following table will help you find the right video platform for you! If you are interested in more comparative articles that we have covered, why not check out our other articles through the links down below? WordPress Vs Blogger Vs Wix: Which is the best free blogging platform? WooCommerce Vs Shopify: Which is the best eCommerce platform for 2017? Squarespace Vs WordPress: Which is the best Website Platform? ← How to create a Beautiful Custom WordPress User Registration Form Super easy?